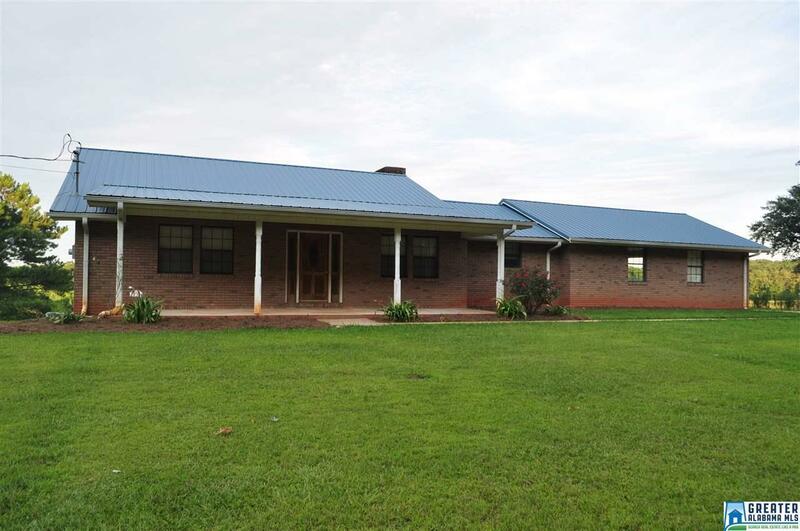 6 Bedroom/3 Bath Brick Ranch on 2+/- Acres This spacious brick ranch offers 3 bedrooms and 2 baths on the main level, a full finished basement, eat-in kitchen and breakfast bar, pantry, laundry room, and a kitchen down stairs. Inside features include hardwood, vinyl, and carpet floors, brick fireplace and woodburning stove. Outside features include a covered porch, garage, city water, concrete drive, vinyl eaves, and metal roof.